"An inspiring, family-friendly historical drama." It is all this and MORE. Last Sunday, I found myself with a writing sister waiting for the movie previews to finish. Little did I expect while watching Hidden Figures for two hours that I would find myself engaged with and connected to strangers as we clapped and cheered together many times! I felt ONENESS. I can't remember the last time this happened at a movie. 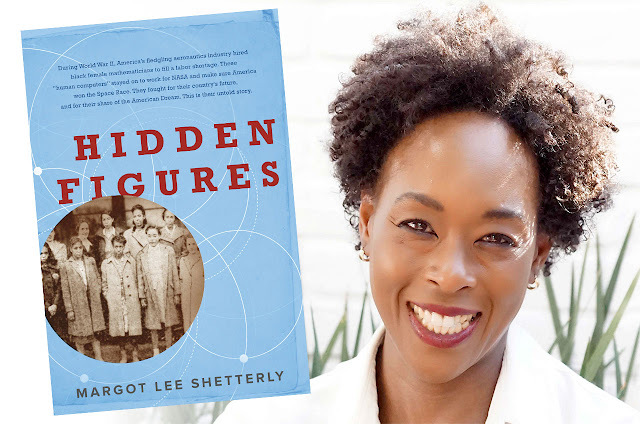 The film is based on the book Hidden Figures: The American Dream and the Untold Story of the Black Women Mathematicians Who Helped Win the Space Race by Margot Lee Shetterly. Set in the Jim Crow deep south of 1962, Shetterly masterfully weaves a story of black sisterhood between Katherine Johnson, Mary Jackson, and Dorothy Vaughan. The surprise setting unfolds at the NASA research center in Langley, VA, where the three women work. It was the time of Cold War America and we were engaged in intense competition with Russia for space dominance. On everyone's mind loomed the ultimate question: Who would land on the moon first? Johnson, Jackson, and Vaughan played pivotal NASA roles as "colored computers" to calculate and formulate before IBM became a part of America's infrastructure for business and government. This is the movie America needs right now. 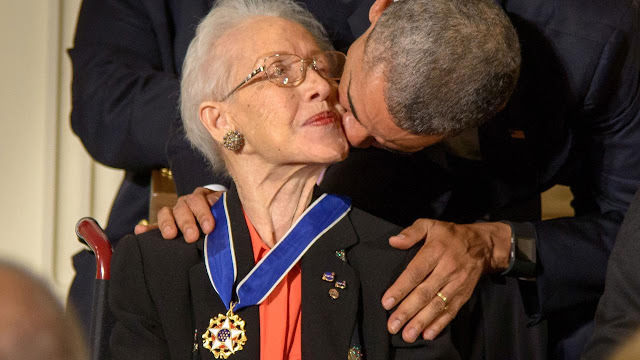 1) "Katherine Johnson knew: once you took the first step, anything was possible." Sisterhood Lesson: Take the first step regardless of being told you can't or shouldn't. If Katherine hadn't taken that first step, America might not have been the first to land on the moon. She was called on in 1962 to manually verify the computer's numbers because John Glenn asked for her personally; he refused to fly unless she verified the calculations. 2) "Their dark skin, their gender, their economic status--none of those were acceptable excuses for not giving the fullest rein to their imaginations and ambitions." Sisterhood Lesson: Remind yourself, "What people think of me is none of my business." 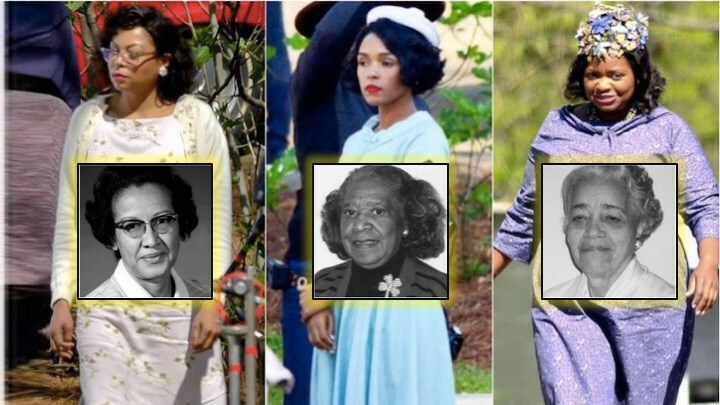 The three friends embodied this message and distinguished themselves despite constant obstacles: a NASA building carries Johnson's name and she received the National Medal of Honor in 2015; Jackson became the first African-American woman engineer at NASA and; Vaughan was promoted as the first African-American woman to serve as a head of NASA personnel. 3) "Find the genius among the geniuses." Sisterhood Lesson: Look for brilliance in unexpected places, even when it seems everyone is shining; there's always someone with an even brighter light you can learn from! 4) "We all get there (outer space) together or we don get there at all." Sisterhood Lesson: A reminder of the classic acronym for TEAM: Together Everyone Achieves More! Think of ways how you can unite instead of dividing. Collaborate instead of separating. Compliment instead of judging. Appreciate instead of denigrating. Sisterhood Lesson: Stop complaining. It's wasted energy and serves nothing and no one. Start doing and being what you believe in every day, not tomorrow or some day. Sisterhood Lesson: A new way of working and being is replacing the old way. Become a part of a sisterhood! Everywhere the global sisterhood is being called into the spotlight as a collective force for the collective good. Katherine, Mary, and Dorothy's story remind us of what is possible! 7) "Well, I was just doing my job." - Katherine G. Johnson, 99, the only one still living of the three friends. She was honored with the National Medal of Freedom in 2015. Sisterhood Lesson: You and I have a job to do. We came here with a purpose. It's time to align with your true purpose and take inspired action. You and I are the ones the world's been waiting for. There's a job to do. Again, this is the movie of many sisterhood lessons that America needs to embrace right now to fly high! Which lesson spoke to you? Thank you in advance for commenting, sharing, and/or Tweeting if this spoke to you. Your review gave me goosebumps. As a trained historian, this is one book and one movie I must read and see. I wrote my thesis on America's Race for Space. Their story is f*#4ing amazing. WOW! You always continue to surprise me Peggy! Thanks for your two thumbs up! Means a lot. I am ready to see it again...it is THAT GREAT. Thanks also for sharing it to your page. Thanks for the compliment! It is over the moon GREAT! Great "sisterhood" lessons. Haven't seen the movie, but inspired by them (and you)! Thanks so much for this post. My pleasure to share...and thanks for the kind words, Val. Can't wait toes the movie! Thank you! Great, Lira! And you're welcome. It was fun writing it. Can't wait to see the movie and read the book! It is a JOY to watch, Barb! Awesome, Lore! So inspiring - tanks so much for sharing. Wish I could have been there with you and Linda! Ahhh, how fun would that have been, Reba, had you joined us! Have you seen the movie yet? Happy you checked it out, Theresia! Sounds like their story is a great fit for your anthology. I want to hear more about it as well. xoxox Hugs. Thanks. Debra! Happy you enjoyed the TEAM acronymn. Happy to hear, Jill Unknown Celeste hahha! I love love love this review of the movie and your beautiful sisterhood lessons. Gave me chills. I agree with every lesson here. Sisterhood has the collective energy to over throw any and all negativity. Thank you for this inspiring post Lore. I appreciate you SO much. Where in the book can I find the second quote?